Our aim is to provide a safe, supervised,controlled and friendly environment for young people to play, contest and enjoy 5-a-side futsal. 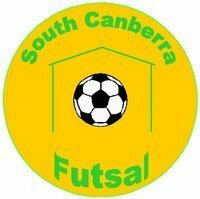 SCF are responsible for the management of all junior futsal competitions conducted during the summer season across the south of Canberra. SCF manage our competitions under the FIFA laws of the game and through our by laws. ADVICE FOR FUTSAL IN HOT WEATHER Drink water or a sports drink, before and during the Thgame: at least 500 mls (two standard cups) 30 minutes before the game at least one cup at half-time while on the bench. Put a wet towel on your neck during breaks.Spray water on your face.Fan yourself. Coaches: do not “over-play” players, use substitutes.